Ri(t)ch Styles : Indian Fashion, Beauty, Lifestyle and Mommyhood Blog: Converse Made By You! Established in 1908, the Converse brand has built a reputation as “America’s Original Sports Company”™ but has become synonymous around the world with the word sneakers. Everyone that I know, has owned Converse as their first pair of branded sneakers. To celebrate 98 years of its signature Chuck Taylor All Star, Converse has launched the 'Made By You' campaign worldwide to get people to share their experiences and stories of the Converse Chucks that they own. 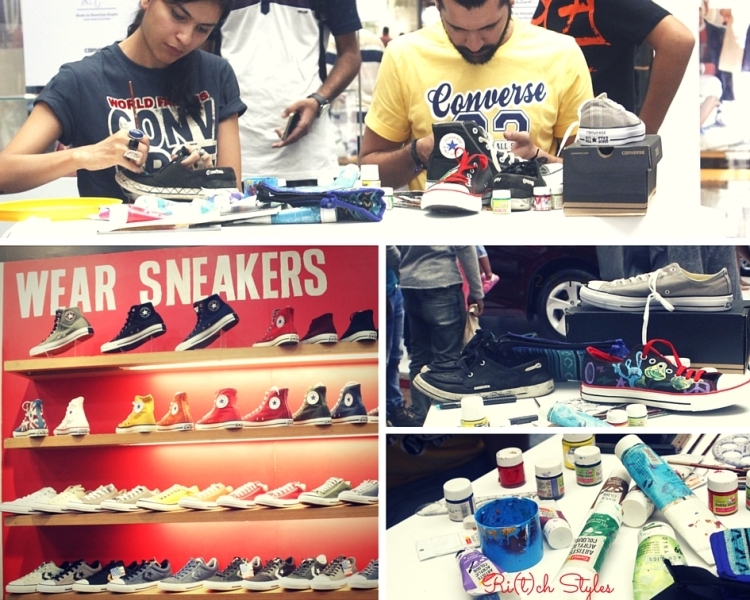 They finally brought this initiative to India in a first of its kind event that took place at Infiniti Mall, Malad on Sunday October 18, 2015 where Converse loyalists could interact with the brand and get their Converse customized. 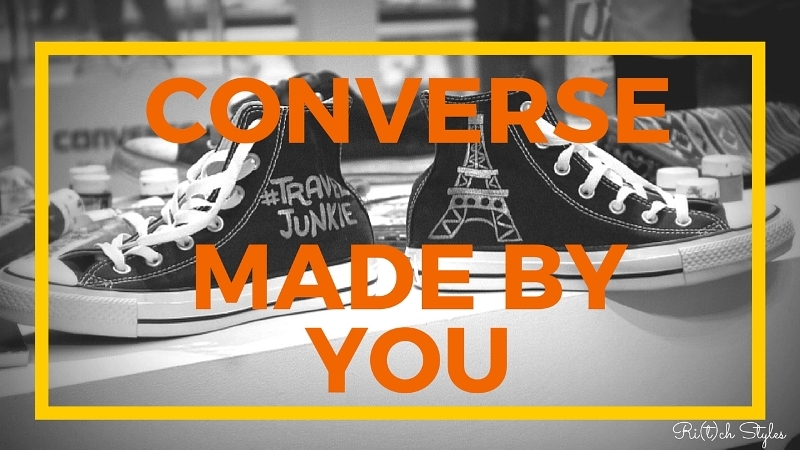 What I truly loved was that they encouraged Converse evangelists to get their oldest pair of Converse that best defined them to the exhibit to become a part of the ‘Made By You’ story and also get their own ‘Made By You’ portrait. I obviously had to go for the event but did not want to touch my worn out chucks because they had a story of their own to tell. 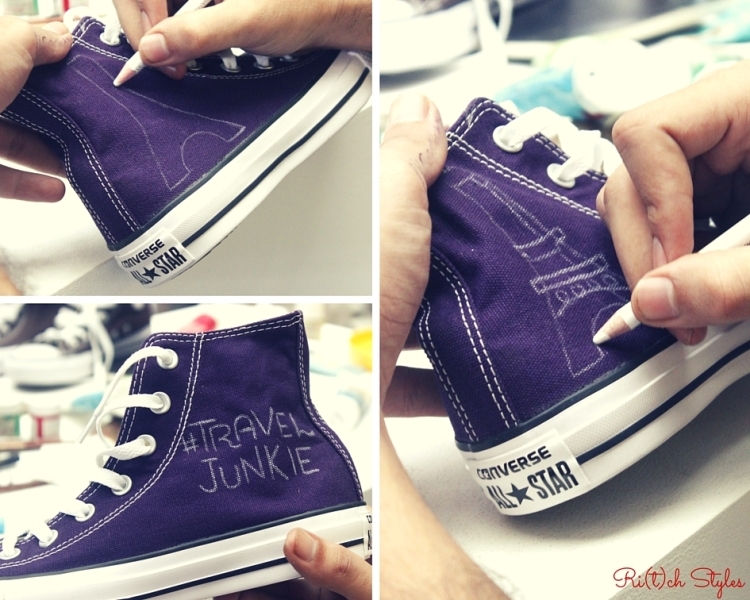 So I decided to pick up a fresh pair and get my creative juices flowing since Converse was offering its fans the opportunity to unleash their creativity and get their favourite Chucks customized through the talented Graffiti Artists present at the event. 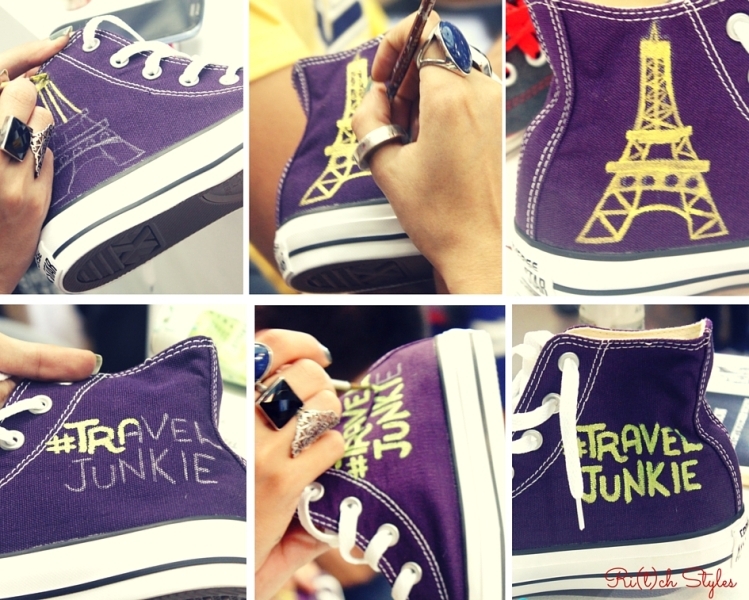 I chose a pair of purple Chuck Taylor All Star and decided to get my travel bug to inspire the customization that I was going to get done. 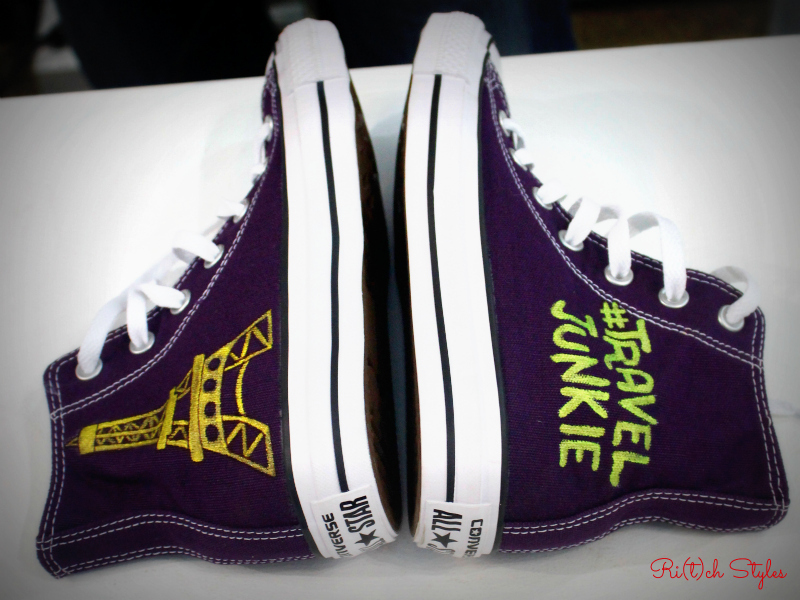 Being a Travel Junkie and having Paris on my bucket-list next, the Eiffel Tower was what I decided to get done on one along with #TravelJunkie on the other. 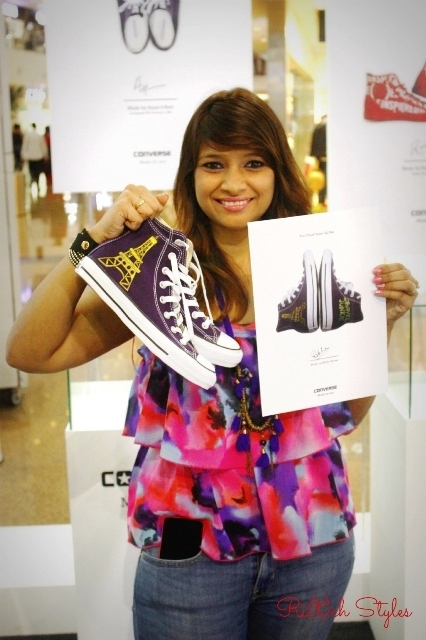 The Converse team was sweet enough to give me a certificate too for having customized my pair.